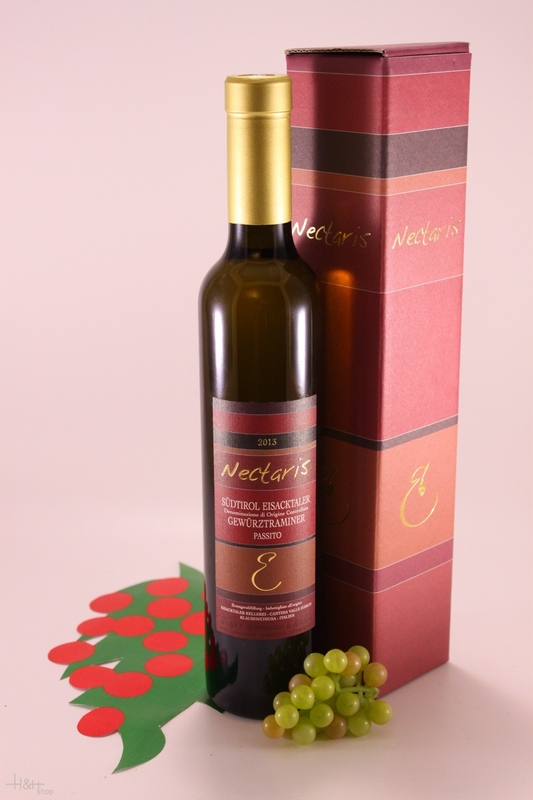 Of all the white grape varieties grown in the Valle Isarco, the one that is most suited for creating a "passito" dessert wine is certainly the Traminer Aromatico. The fully ripened grapes are left to dry naturally for 5 months. During this period, the weight of the grapes is reduced to less than half while its sugar content increases. After pressing, the sugar content reaches about 38% which gives this wine its enjoyable alcohol content and that pleasingly fruity taste of the sugar residue.